Carbon monoxide (CO) is a colorless and odorless gas, produced by the incomplete burning of various fuels, including charcoal, wood, oil, kerosene, propane and natural gas. The Centers for Disease Control and Prevention report that every year more than 400 Americans die from unintentional CO poisoning, more than 20,000 visit hospital emergency rooms, and more than 4,000 are hospitalized due to CO poisoning. Death from CO poisoning is highest among Americans age 65 and older (www.cdc.gov/co/faqs.htm). 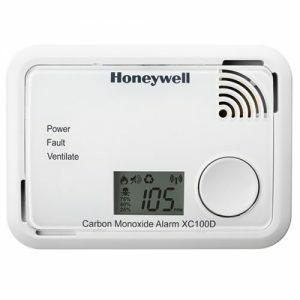 Every area in a commercial building where there is an open flame (HVAC units, warehouse heaters, hot water heaters, furnaces, stoves or other cooking appliances) need to be protected by a Carbon Monoxide Detector. This is now a law and there are no commercial buildings excluded; no grandfathering, no exceptions. Local fire officials and building officials are enforcing this law every day. Contact ROS Electric LLC for a free consultation to develop a plan to proactively protect your employees from Carbon Monoxide Poisoning. 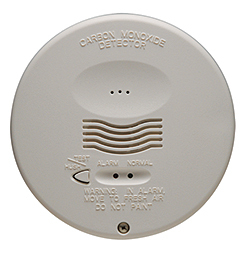 Single Family and Multi Family Residential Dwellings are required to install Carbon Monoxide Detectors. Although interpretations of this law vary from city to city, the common theme is one Carbon Monoxide Detector per floor and additional units required within close proximity to open flame devices as described above. Multi Family Residential Dwellings, depending on building classification are subject both residential and commercial rules. See our Multifamily Links below for clarification. Contact ROS Electric LLC help protect the people who put their lives in your hands. ROS Electric LLC, is an industry expert in the area of Carbon Monoxide Detection. Whether you are designing a new system, adding to an existing system or addressing pending violations, let us partner with you to develop a plan to keep your employees or family safe and well protected. Call us at 201-796-2923 to schedule an appointment with one of our Life Safety Consultants. The initial consultation is free, the ability to save one life is priceless.